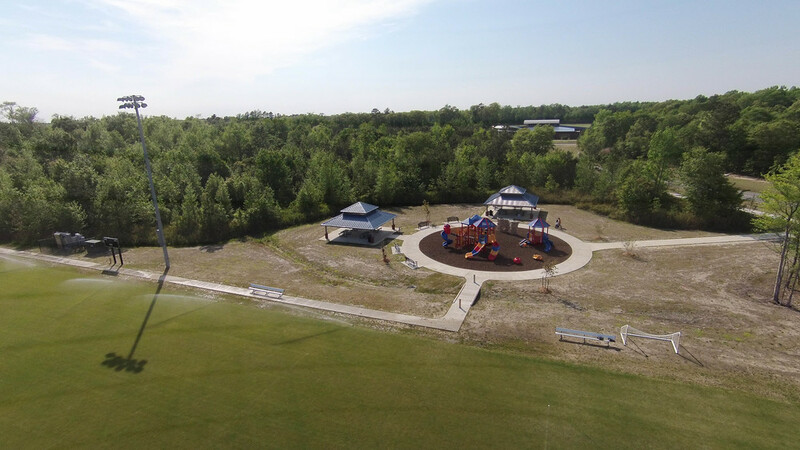 It only took 10 days to install 14 field lights poles that will provide 144,000 watts of lighting to the new athletic fields at the Currituck County Community Park. The 60’-80’ tall fixtures were designed to withstand hurricane-force winds of 120 MPH. Installers utilized lasers to focus each of the 96 lights on specific parts of the fields. The park expansion also includes an Alpine Tower: a 50’ tall structure built with pressure treated timbers. The tower offers an ideal challenge course setting for fostering teambuilding and provides Universal Access for persons of all abilities. The new athletic fields are being constructed by a world-class turf contractor who has recently completed fields for several NCAA baseball stadiums as well as the Norfolk Tides and the Miami Marlins. Fields have over a mile of sub-drainage piping allowing them to dry quickly and efficiently after rainfall and irrigation. Footings are in place for the 2-story concession stand structure which consists of restrooms for the facility as well as a fully equipped kitchen and press box. There will be four pre-engineered picnic shelters to match the others on campus which will have powder-coated steel and standing-seam roofs. The project manager is Adam Hughes. The superintendent is Roger Steele. The One Mill Park project in Shiloh, NC is officially complete. The final touches have been added to the playground, gazebo, as well as the pier just in time for spring! 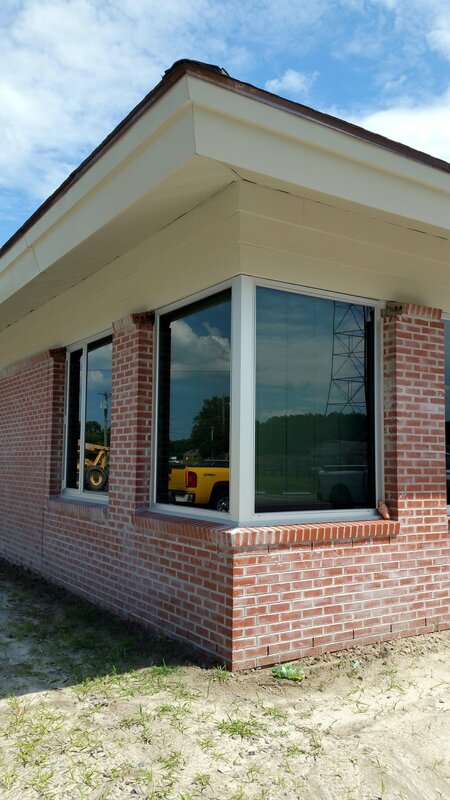 Exterior photos from the recently completed Hertford County Courthouse in Winton NC. 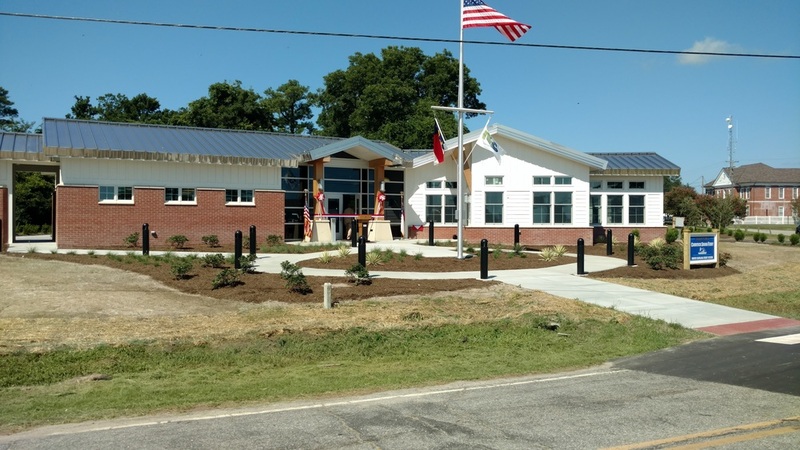 A. R. Chesson Construction recently completed the installation of a canopy at The Soundside Outer Banks Event Site, located near Milepost 16.5 on Route 158, in Nags Head NC. 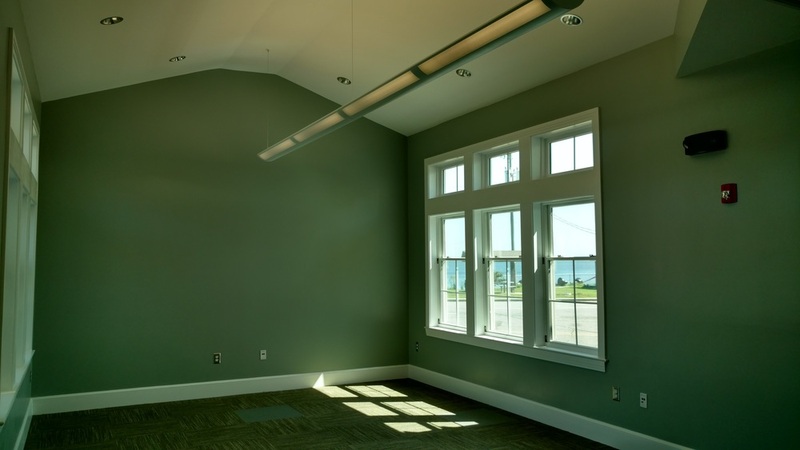 Improvements A. R. Chesson Construction completed last year at the Currituck Community Park in Maple, NC have greened up nicely. Two grants from NC Division of Coastal Management's North Carolina Public Beach and Coastal Waterfront Access Program, in cooperation with Stanley Thompson, land owner, were used to provide new and improved public access to the public waters of the Cashie River in Bertie County NC. 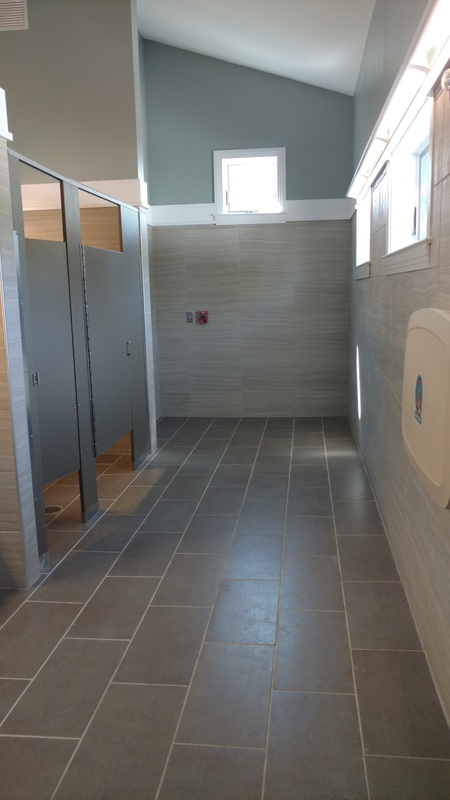 The fully accessible design build project included a passive recreation fishing pier, a small boat launch transfer station, a connector boardwalk from parking to piers, and other site enhancements. The project also supports the town of Windsor’s ongoing eco-tourism efforts highlighting the Cashie River's resources. There were many collaborative partnerships to make the project a success: the Windsor Board of Commissioners, David Hodges, Jr. with Mid-East RC&D Council, Inc., Dr. Paige Viren and her students from East Carolina University Department of Recreation and Leisure Studies for planning and project support, private land easement for the site provided by Stanley Thompson, Vic Thompson from Bertie SWCD, and NC Division of Coastal Management for resources through their Public Access grant program. 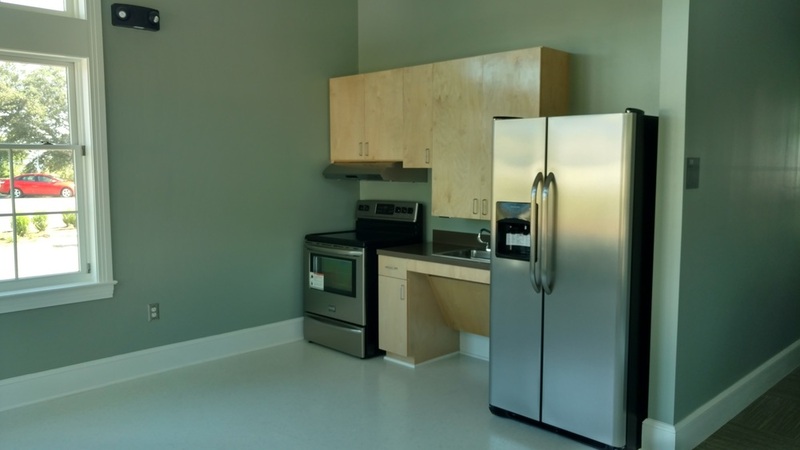 A. R. Chesson Construction provided design and construction management services, with construction services provided by Sawyer's Residential & Marine & Tim Phelps & Co. The Town of Windsor and Bertie County adopted a cooperative mission of promoting sustainable, community-driven economic enhancement and stewardship in the region through environmental education, water-based recreation, and nature-based and cultural tourism. The focal point for such activities centers on the historical Cashie River, the only river in the nation whose headwaters and receiving waters are located in the same county. Our PEMB division is working with Tyler Construction Company on the new Controlled Humidity Warehouse at Fort Bragg. The interior includes a fabric insulation system. Fort Bragg is the home of the Airborne. For more than half a century, Fort Bragg has had a proud heritage as the Home of the Nation's finest fighting forces. Fort Bragg is located just west of Fayetteville, North Carolina. The fort is named for Confederate General Braxton Bragg. It covers over 251 square miles in four counties.